There are no boring companies – only boring stories. The key to standing out in a competitive environment is developing a powerful story that resonates with your desired customers. While this is certainly not news to anyone who has spent more than a few minutes studying sales or marketing, I find it distressing that companies (especially B2B sales organizations) spend far more time working on creating data and explaining attributes than they spend on designing and developing their story. Four years ago I shared a blog post highlighting the insights into great storytelling from story guru Robert McKee, the teacher to some of the greatest screenwriters of our time. I’ve always found that while McKee comes from the Hollywood school of storytelling, his insights have tremendous impact for any B2B sales organization. I regularly notice salespeople (including myself) spend too much time making arguments. We’ve learned how to overcome objections, command the process and control the conversation. Too often sales can feel like a battle. When the focus is on story, you’re interactions are far more collaborative. Traditional B2B selling teaches reps to find the pain, ask some questions and build a case. The problem is that we’ve been taught the way to build that case is through the accumulation of facts and data. While this approach worked well in Middle and High School, it is actually counter-productive in sales, influence and business. 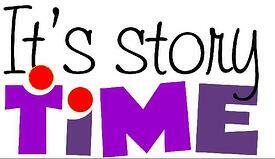 Story means that you have to stop talking in first person (I, me, us, we) and start talking about you. You want to accomplish a result, you have an obstacle, you have a budget, you must think differently. Stories are powerful. Stories project. You and your prospects are all story-based creatures. You understand stories; you can see yourself in a story. You remember them and can pass them on. Stories move beyond data and focus on impact. They provide conflict and resolution and engage your audience. Successful business stories are all about the future, not about the past. To identify the central point of your story, you simply need to identify the conflicts that your best customers will face in the future and how you can address them. The story you tell needs to be the future journey of your customer. You’re telling your customer’s story, not yours. Belief is a powerful conduit. You must believe your story. It’s the confidence you project that will engage your prospects and customers. At your next presentation, drop the PowerPoint and cut the data you share in half (and cut it in half again). Take the time you free up to share the story of what life will look like with you (and without you). Do this and you’ll see your win rate jump.